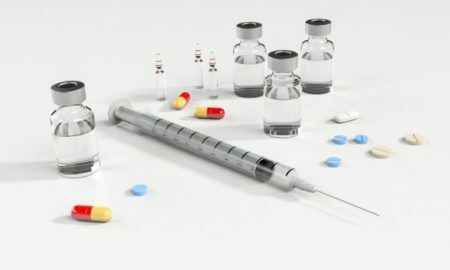 Traditional biological vaccines work by introducing a safe form of a virus or bacteria – or a harmless part of it, such as a peptide – in order to provoke an immune response in the body. Unlike the biological peptides, these “mirror image” molecules cannot be digested, opening up the possibility for them to be administered in pill form. Prof Andrew Sewell, from Cardiff University’s school of medicine, who led the study, said: “There are many benefits to oral vaccines. There is another oral vaccine already in existence – oral polio vaccine – but that needs to be stored in a freezer. Divya Shah, from the Wellcome Trust’s infection and immunobiology team, said the “exciting” study provided “a potential route to make synthetic vaccines that are heat stable and could be taken orally”.